Relaxation and rejuvenation comes to mind when you think of a holiday at Sea Mist Palms. When it comes to taking a break from a hectic lifestyle there’s a reason the Gold Coast is such a haven for people from all over the world. 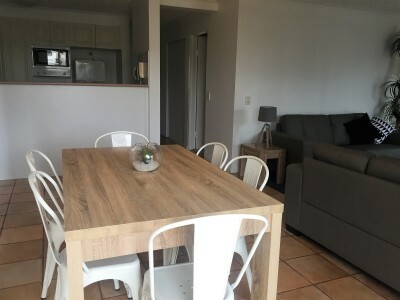 A warm climate, sandy beaches, theme parks, amazing shopping, even more amazing restaurants and a vibrant nightlife, the Gold Coast has it all. 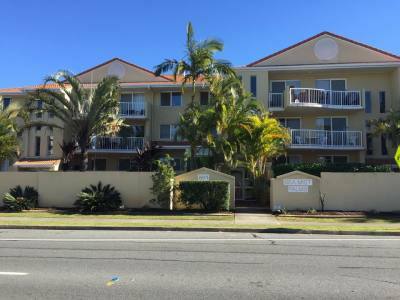 We are located 8km from the Gold Coast International Airport at Coolangatta and 20 minutes away from all theme parks. 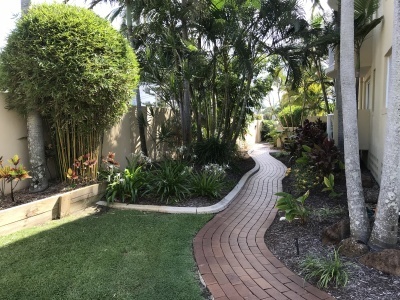 Sea Mist Palms is a short stroll from the Tallebudgera Recreation & Sports Centre and we are next door to the Tallebudgera Tourist & Caravan Park and directly opposite on the beach front is the iconic Tallebudgera Surf Lifesaving Club (Club Talle). 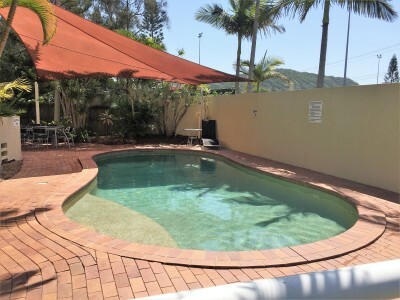 Tallebudgera is an Aboriginal word meaning ‘a place for good fish’ and that’s what Club Talle likes to offer. Their menu offers fresh, local seafood, as well as great steaks, at reasonable prices. 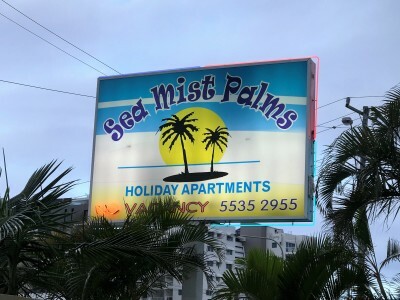 The spacious apartments at Sea Mist Palms are all individually owned and furnished and consist of large living areas, a master bedroom with queen size bed complete with ensuite and the second bedroom has two single beds (extra bedding is available on request). 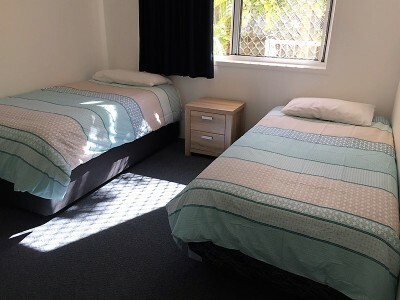 Each apartment is equipped with digital colour television, dishwasher, microwave oven, washing machine, dryer and a fully equipped kitchen. The large balconies and terraces provide beautiful vistas and contribute to a pleasant and relaxing holiday. Ideal for an early morning breakfast as you enjoy the gentle breeze from the Pacific Ocean while you plan your days recreation. Resident Managers Gail & Gary know you'll enjoy your stay, but don't take their word for it come and enjoy the experience yourself. 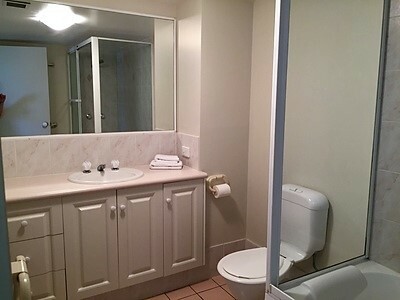 Secure underground car parking is provided as well as security intercom to each apartment. 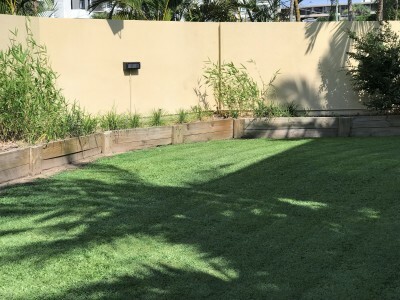 Awesome location with Tallebudgera beach and big playground just across the road. Toys in the room for kids to play. 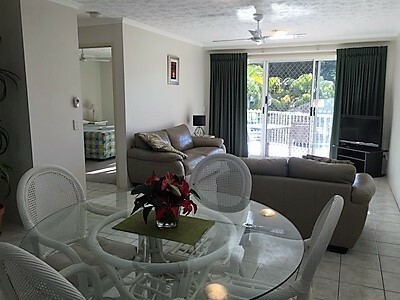 Clean and spacious apartment, with nice garden view on the balcony. Gail was really easy to communicate with and friendly with kids. We will definitely go back in the future! Gail is extremely friendly & helpful. Location is superb, with 2 small kids there was everything we needed within walking distance. My daughter went with her friends and had a great time expressing that the location was perfect. Gail was very helpful. They hope to return again in 2018 for another mini break.